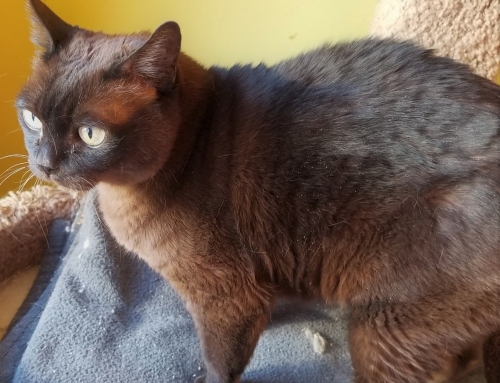 Willow is a gorgeous and adorable SABLE BURMESE with gold eyes, who is 3 years old, spayed and has her claws; she weighs 8.5 lbs. Willow was surrendered with Sammy in southern Wisconsin, with limited history. Willow has the silkiest coat that is so soft and supple to the touch. She is also healthy and active and ready for her forever home. 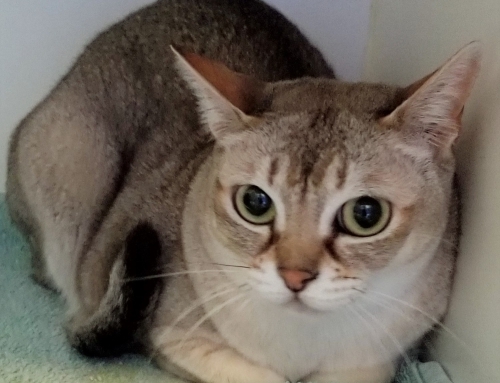 Willow is a doll, loving to crawl into your lap for head bumps and petting; but she is also pretty active and does not stay in one place too long, except at night, she loves to sleep with “her person”. Willow gets along with other cats, dogs and would be fine with respectful children who would play with her. Willow loves cat trees, scratching posts, catnip toys and little balls to chase around the house; she plays with Sammy but also enjoys playing with her foster home’s resident kitten. Every morning after breakfast they run around at full speed chasing each other. She is a little shy with new people and situations, but warms up quickly. Willow eats anything you set out for her, wet, dry, treats, its all good. Willow is bonded to Sammy Sosa and they must go home together; they play regularly, bathe each other and nap together almost daily. Their foster mom often finds them curled up together on her office chair in the evenings. Sammy Sosa is the absolute sweetest BLUE BICOLOR RAGDOLL ever! He is about 5 years old, neutered and has his claws; he weighs 7.5 lbs. and has bright blue eyes. Sammy was surrendered with Willow and is from southern Wisconsin with a limited history; but he is healthy and happy and ready for his forever home. 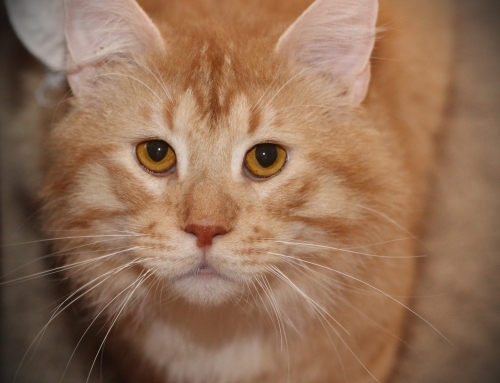 Sammy is a typical Ragdoll who loves to flop into your lap and purr a spell. He loves attention and follows his foster mom around whenever possible; he also loves to help while you are working on your computer or in the kitchen. Sammy is a little talkative and will let you know when he wants attention and food. Sammy will only eat wet cat food and while dry is always available, he will not touch it. He is also a bit finicky about his food preferring salmon and sometimes turkey to other flavors. His new home will need to be committed to his dietary needs and while he is not special needs, he is a thin cat and needs open access to eat a high quality food whenever he is hungry. His foster mom has him on a 4 times per day feeding schedule and he consumes about half of a 12 oz can per day. Sammy has an easy care medium length coat that requires brushing about 1-2 times per week and he tolerates it very well. 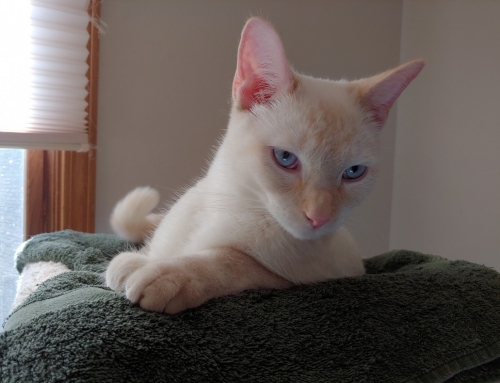 Sammy does well with everyone, other cats, dogs and would be great with respectful children; he is also bonded to Willow and the two of them are very sweet together. They play regularly, bathe each other and you may find them snuggled up together for a nap frequently; they must go home together. Sammy Sosa and Willow are wonderful pair of cats with unique personalities; if you are looking for a pair that are sweet and easy to care for, look no further. Adoption Fee $550. Fostered in Milwaukee, WI.